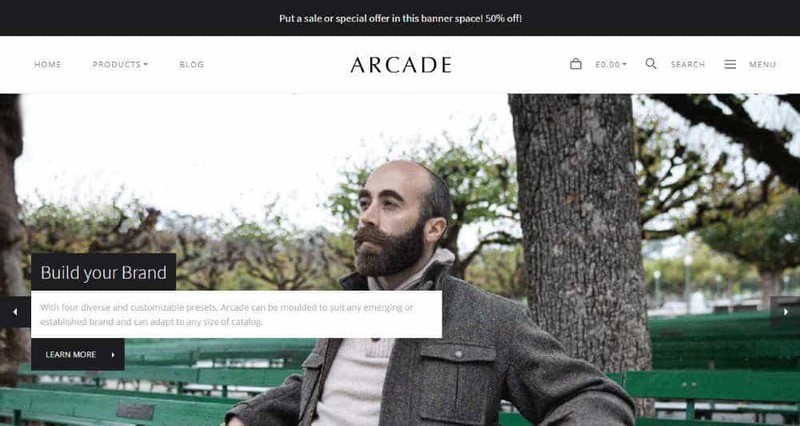 The sole purpose of Arcade is to drive sales for your e-commerce site by utilizing the bold CTA buttons, built-in user reviews, and detailed product comparison charts. Multiple navigation styles and four professional styles will play key roles in making your online shop look attractive for the customers. You can showcase the available collection by adding them to the slideshow, featured products, and new products sections. Use the integrated ticker to inform the visitors about any promotion, discount, or coupon. Complex product filtering, comparison, and search options.